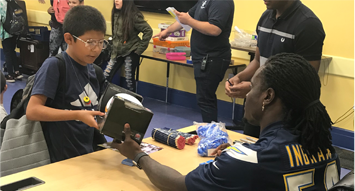 On Tuesday, Melvin Ingram’s Mission Possible Foundation was awarded a $5,000 grant from the NFL Foundation as part of the NFL’s initiative to help players get more involved in social causes within their community. The grant funding will support the Mission Possible Foundation’s outreach programs for financially disadvantaged youth in inner-city Los Angeles. 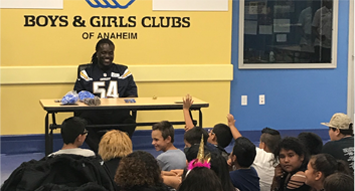 During his six-year NFL career, Ingram has remained steadily involved in both the San Diego and now Los Angeles communities. Focused around providing opportunities and educational resources to low-income youth in Los Angeles, Ingram’s foundation has consistently demonstrated an ongoing impact on children’s lives. Ingram has twice held a ‘Gearing Up’ back-to-school program that distributed backpacks full of classroom supplies, enriching the academic experience of 548 students in the process. He has also held an annual holiday program, ‘Mission: Christmas,’ benefitting low-income, single-parent families. The NFL Foundation’s Social Justice Grant program provides grant funding to nonprofit organizations whose missions are focused around social justice causes and have been financially supported by an NFL player. According to the NFL Foundation’s website, the grants are designed to reduce barriers to opportunity through a focus on education, criminal justice reform, poverty, racial equality, and many other causes. Lack of educational opportunity is one of the largest barriers preventing economically-challenged students from excelling and reaching their full potential. Ingram’s outreach addresses this need through his annual Gearing Up and Mission: Christmas programs. 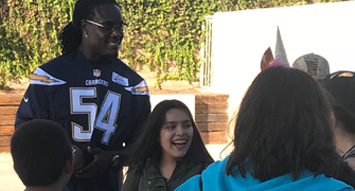 This Social Justice grant will allow Melvin Ingram’s Mission Possible Foundation to continue to grow its outreach programming in Los Angeles.